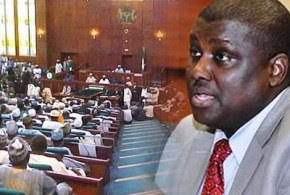 The Presidency in a swift reaction, last night, said Maina’s family should be ignored. Senior Special Assistant to the President on Media and Publicity, Mallam Garba Shehu said: “The claim that the Buhari administration invited the wanted Abdulrasheed Maina back into country is a freshly minted falsehood. Nobody should believe that.